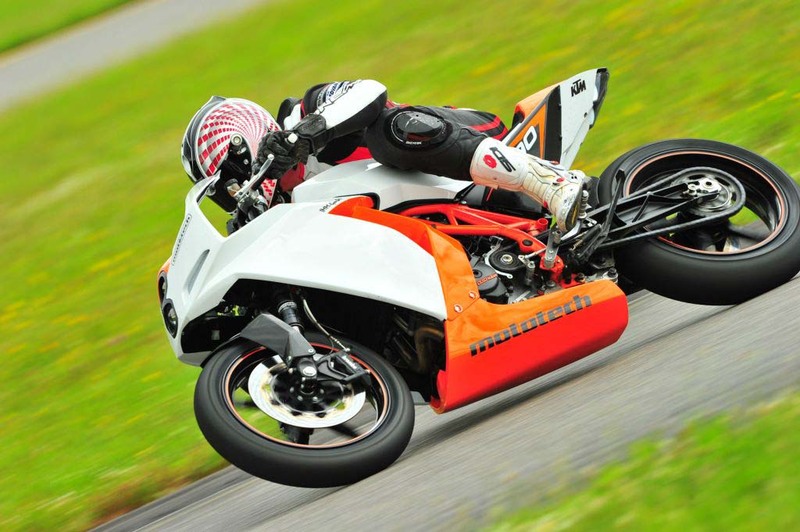 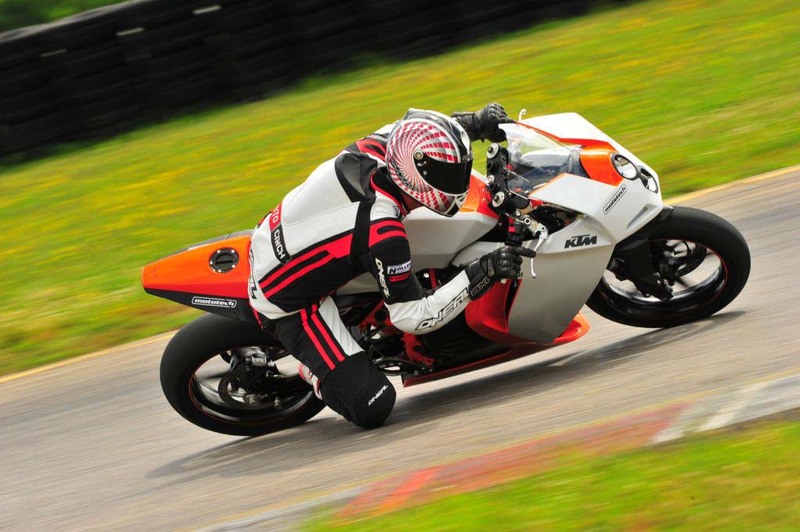 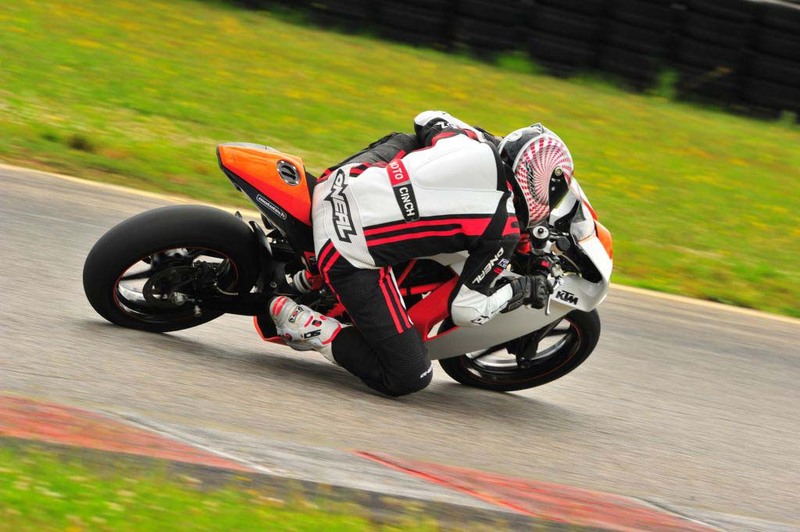 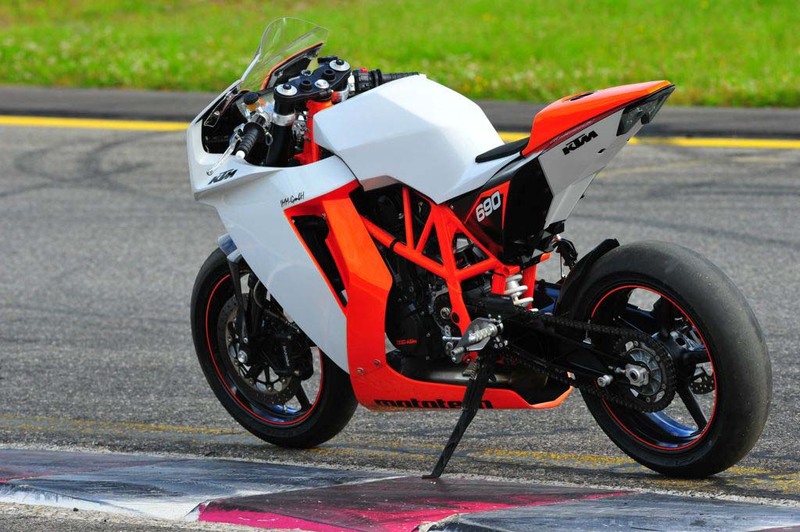 A two-wheeled speeding ticket made in Austria, I’m still bitter that the 2012 KTM 690 Duke isn’t coming to American soil. 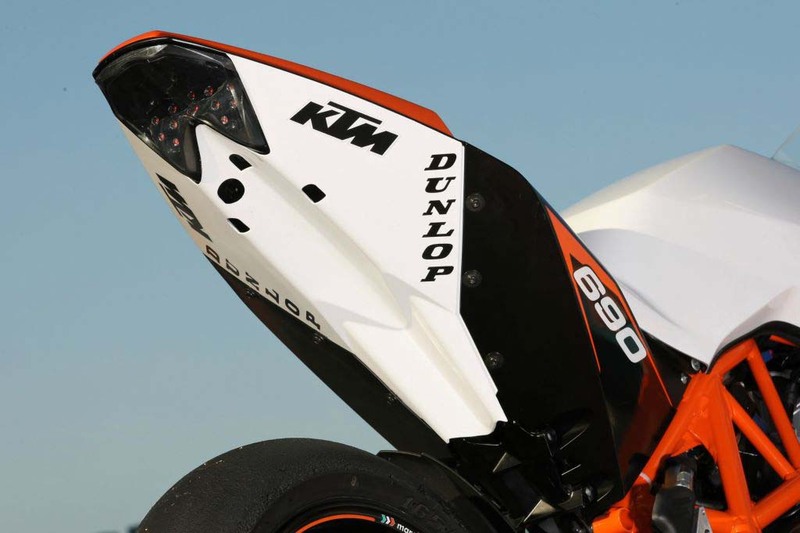 With all the dressings of a bare-knuckled hooligan machine for the street, the new Duke will surely live up to its heritage of angering elderly women, but a German company has thought up a more refined role for the big-displacement thumper. 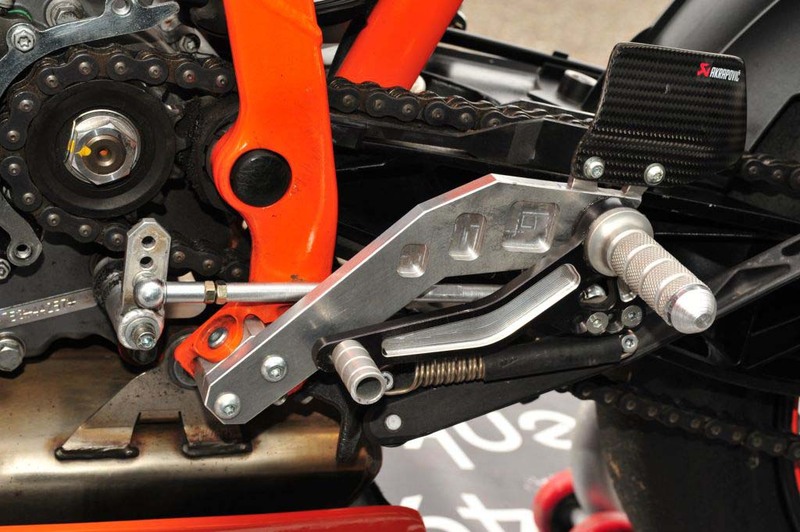 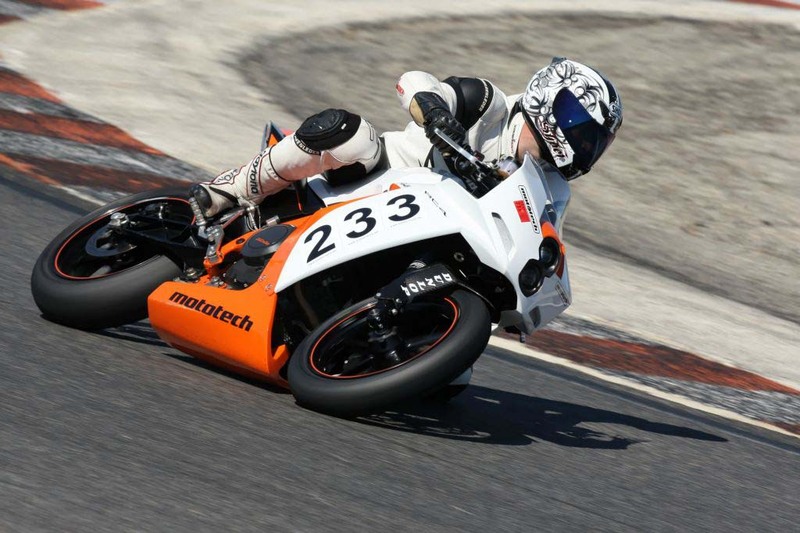 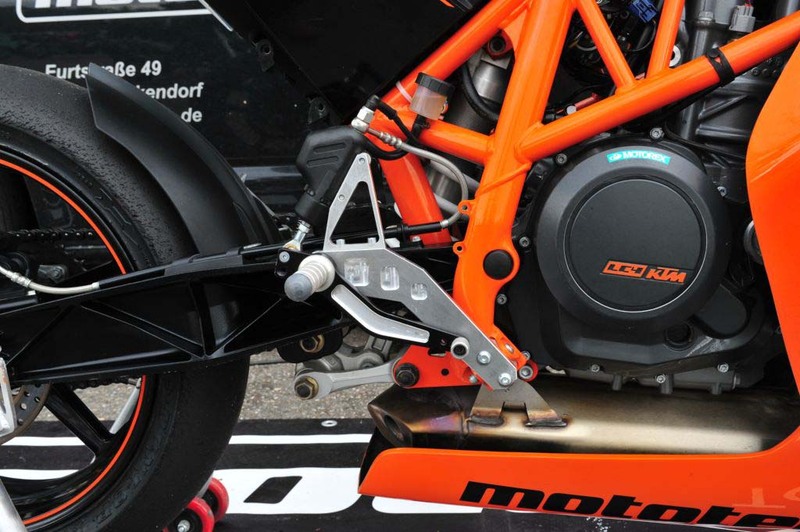 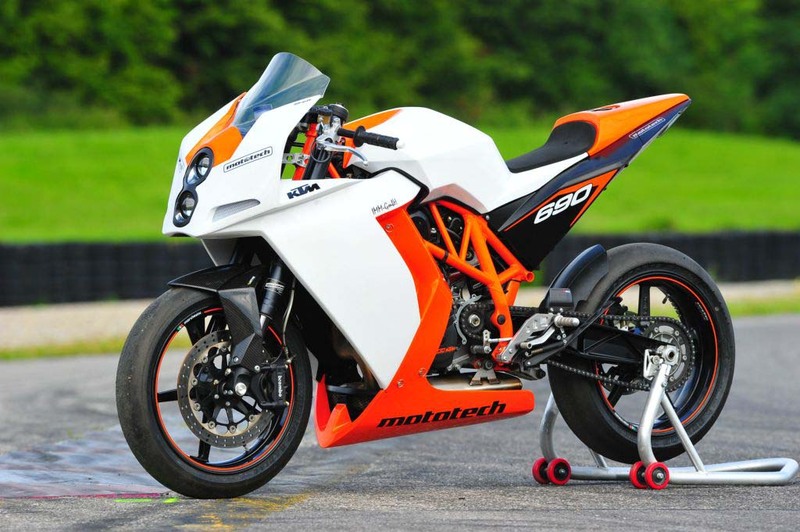 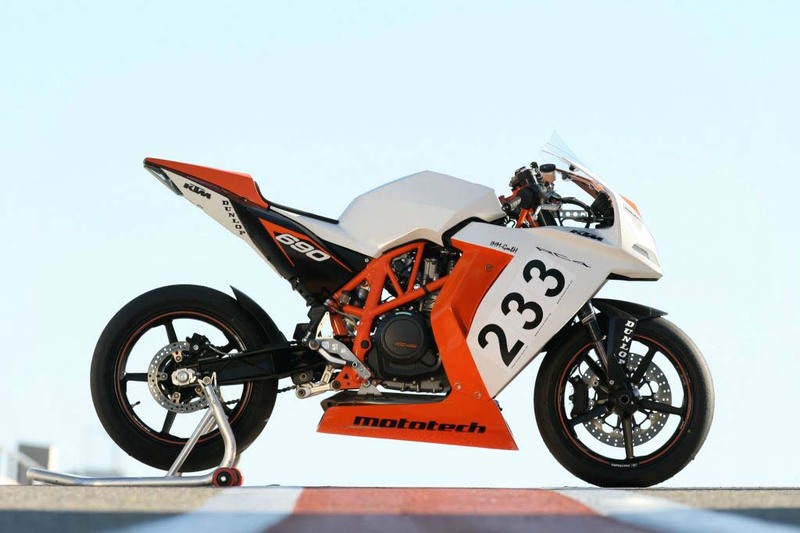 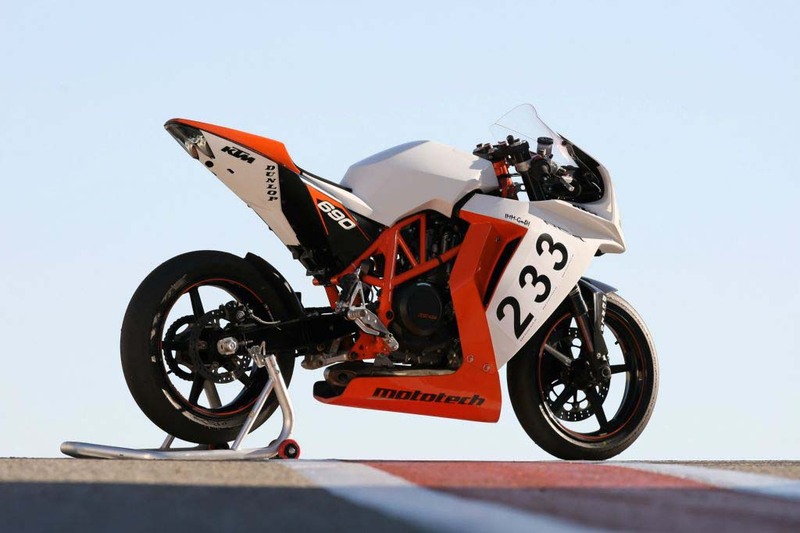 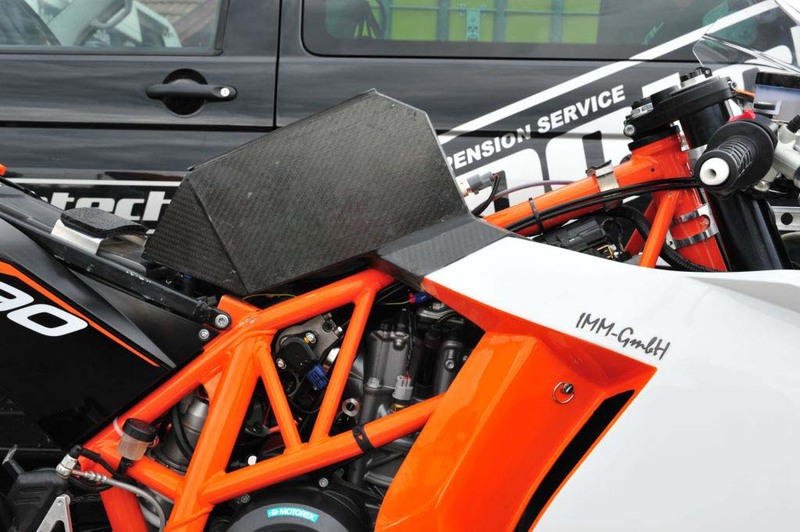 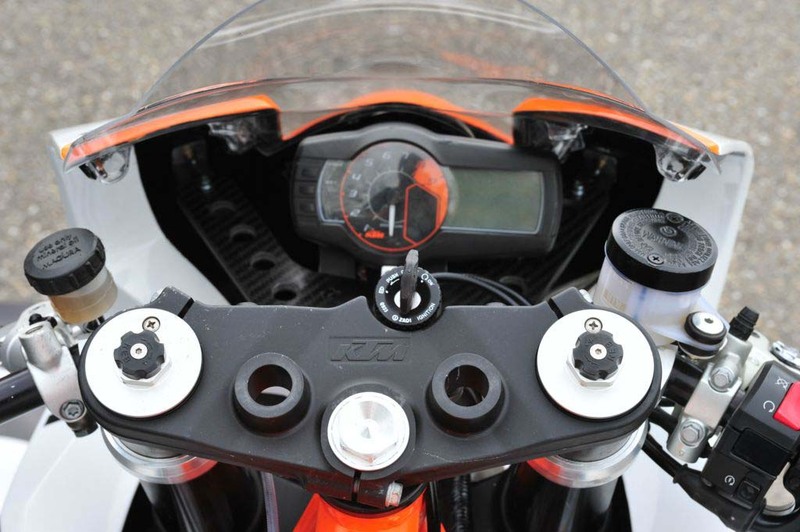 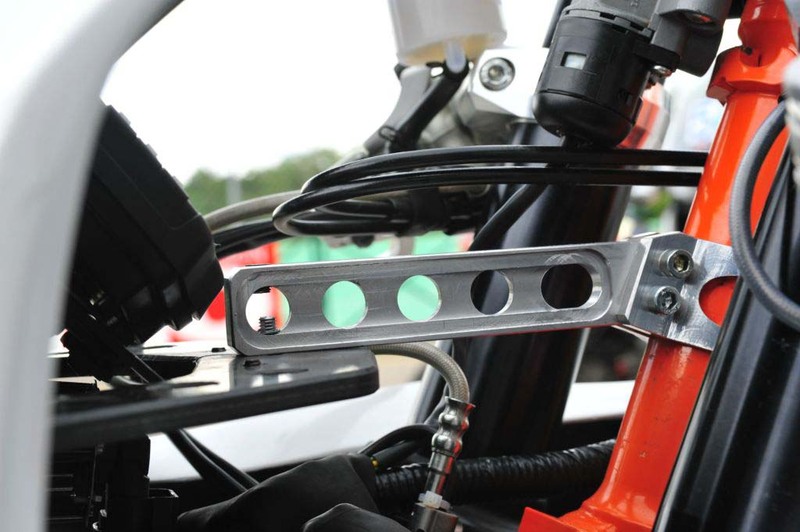 Adopting the bike into a more superbike trim, German suspension tuners Mototech have created what they call the KTM RC4 690R…and I like it. 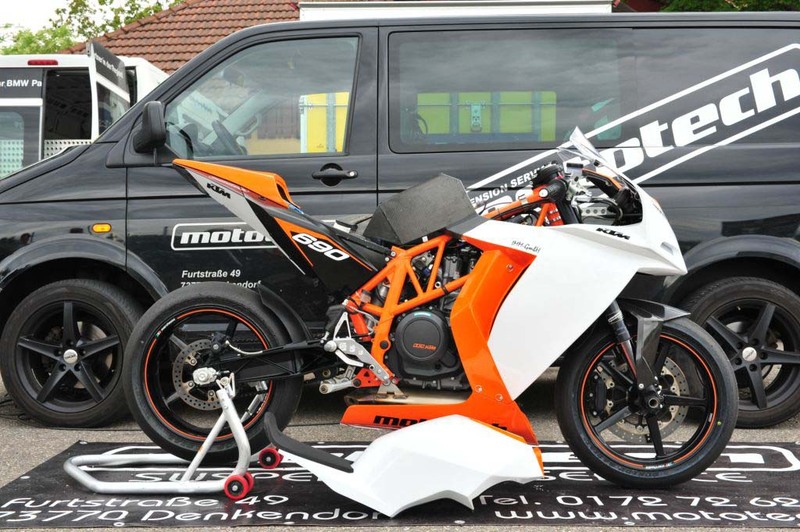 Set to be a conversion kit available for a mere €4,800, the package includes carbon fiber fairings, carbon fiber airbox, rearsets, handlebars, and a ram air intake system. 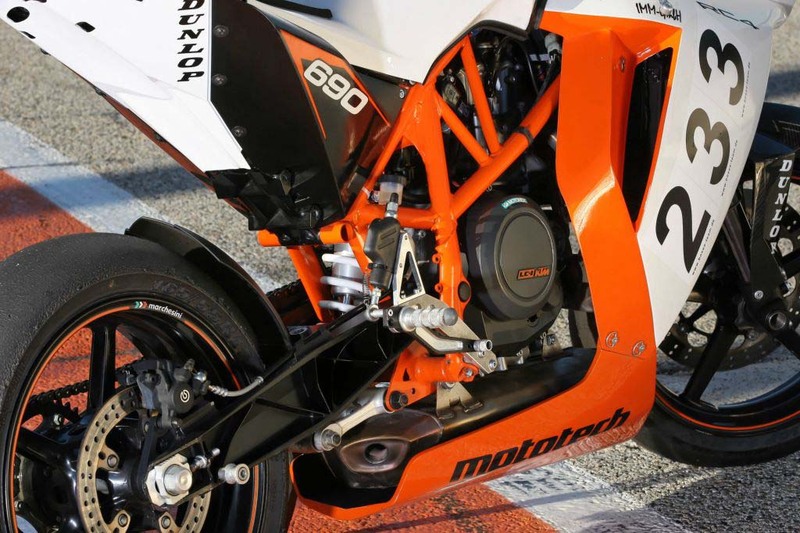 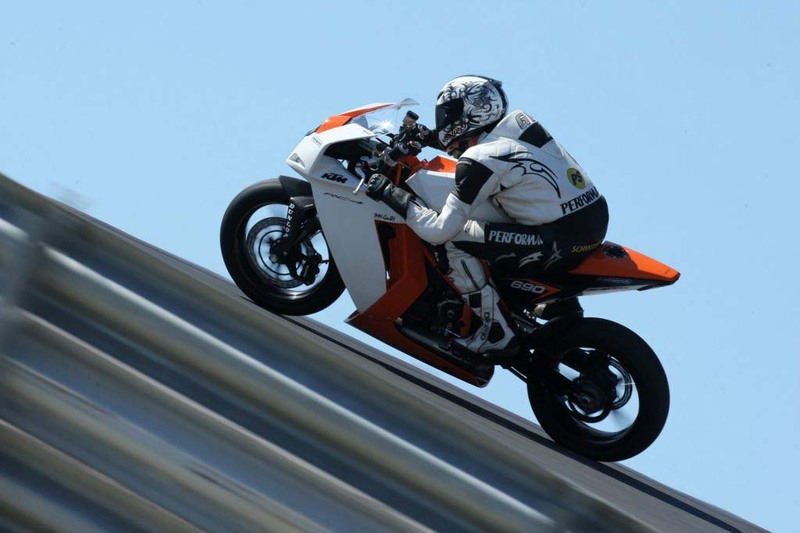 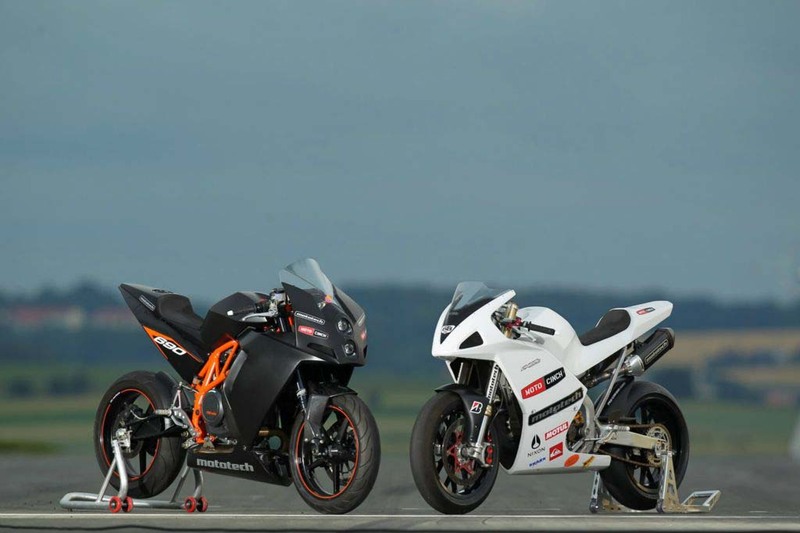 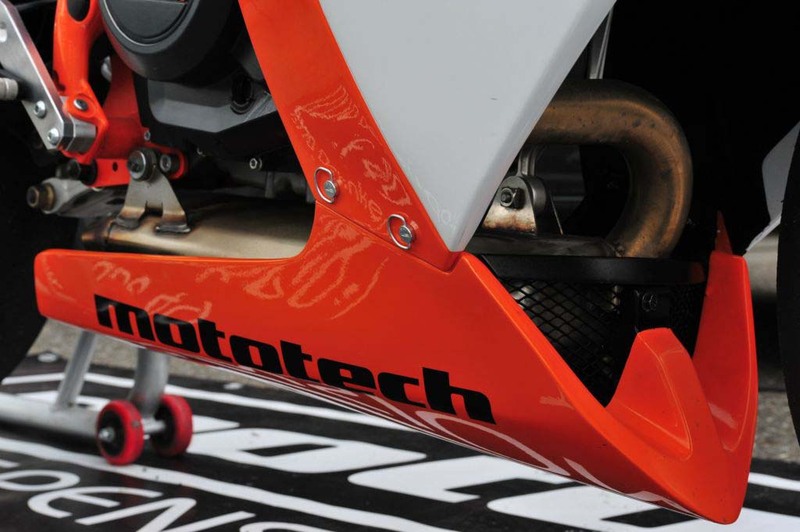 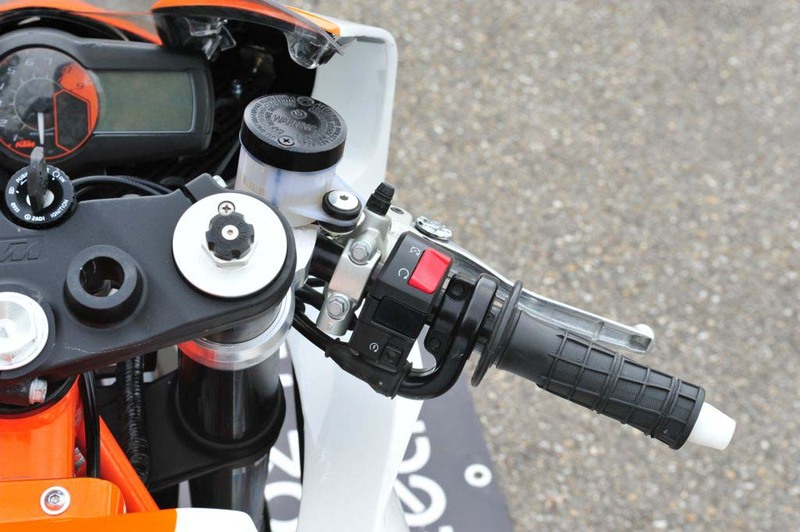 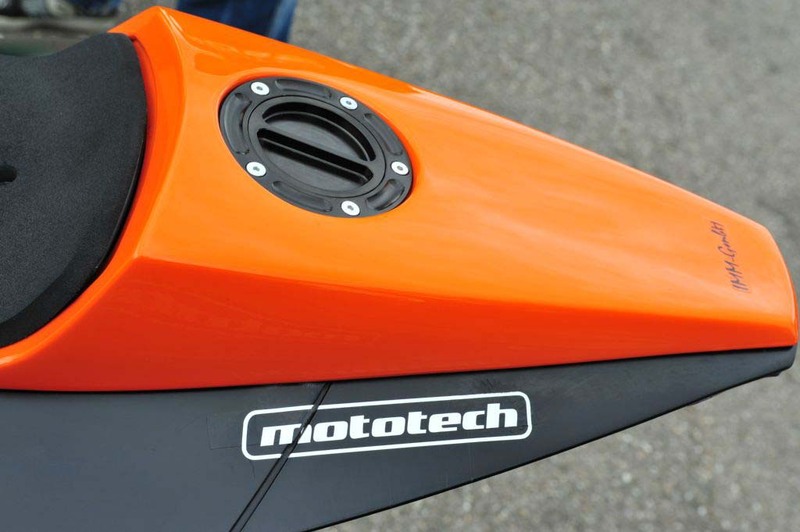 To help with its sporty nature, the Mototech KTM RC4 690R takes its rider ergonomics from the KTM RC8R superbike, and Mototech also has available some goodies that will take the KTM 690 Duke’s 70hp LC4 motor up to 80hp spec. 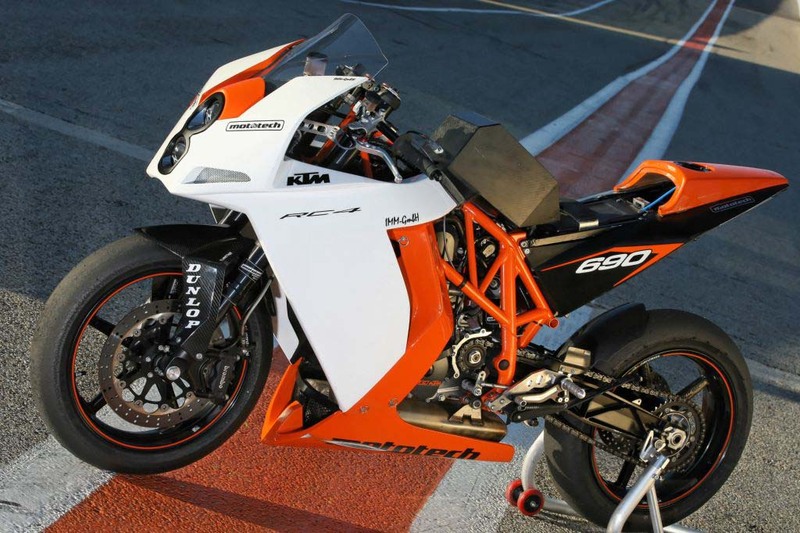 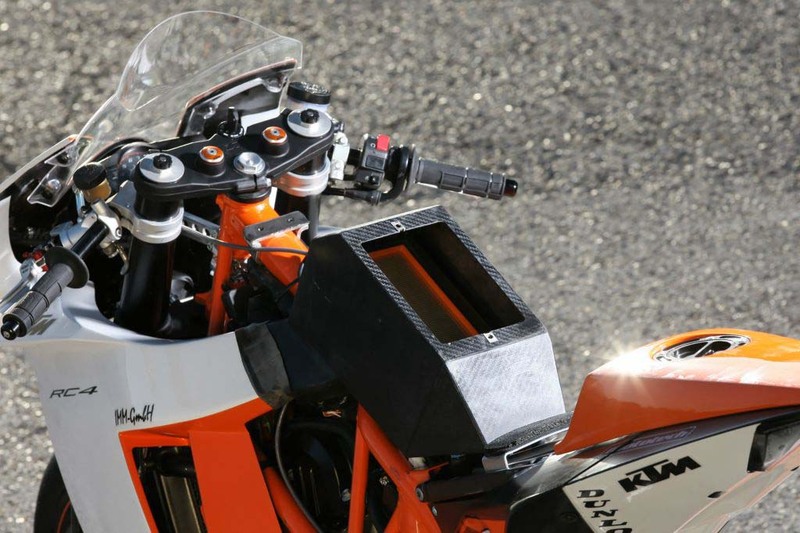 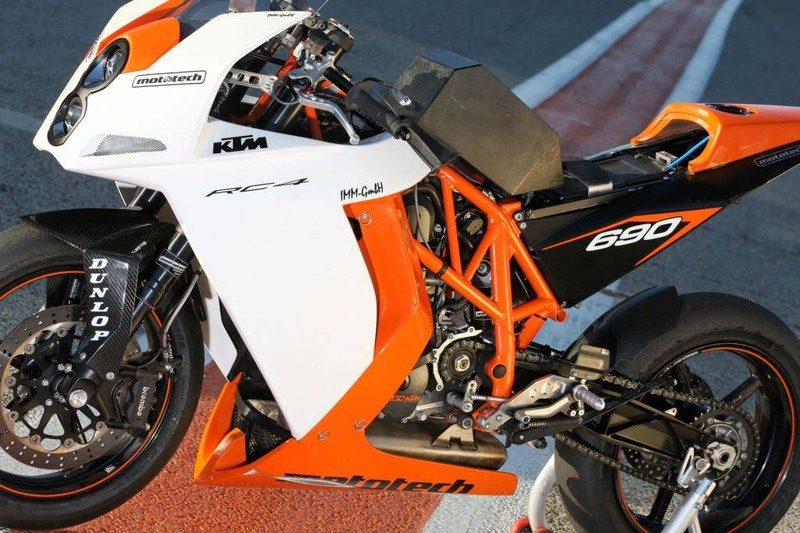 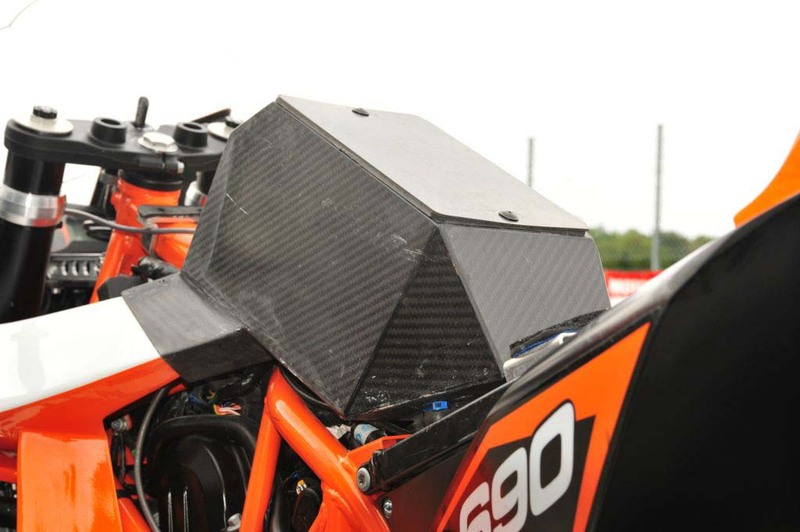 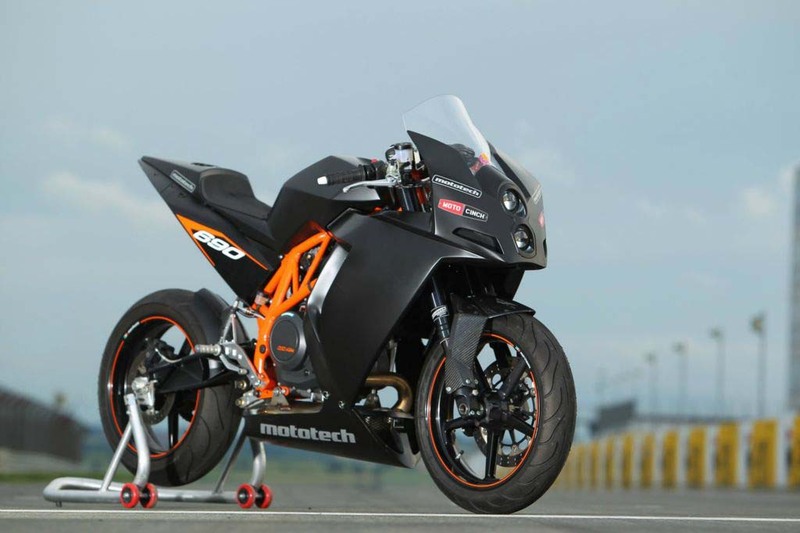 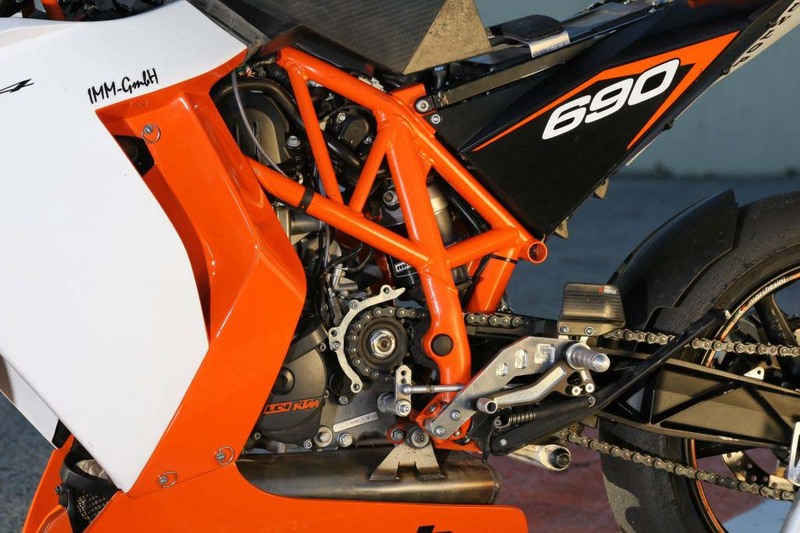 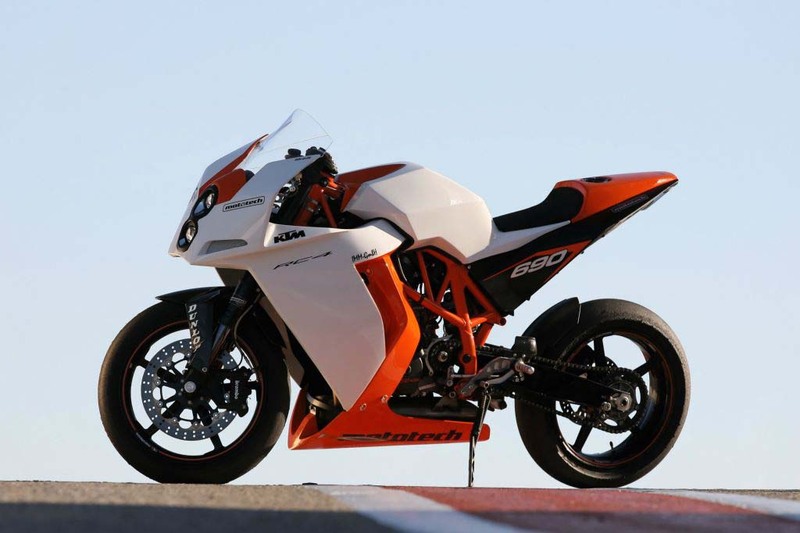 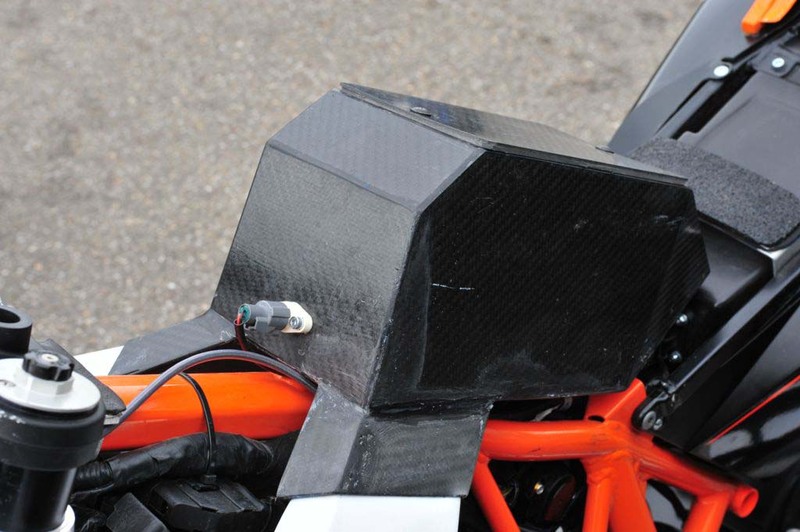 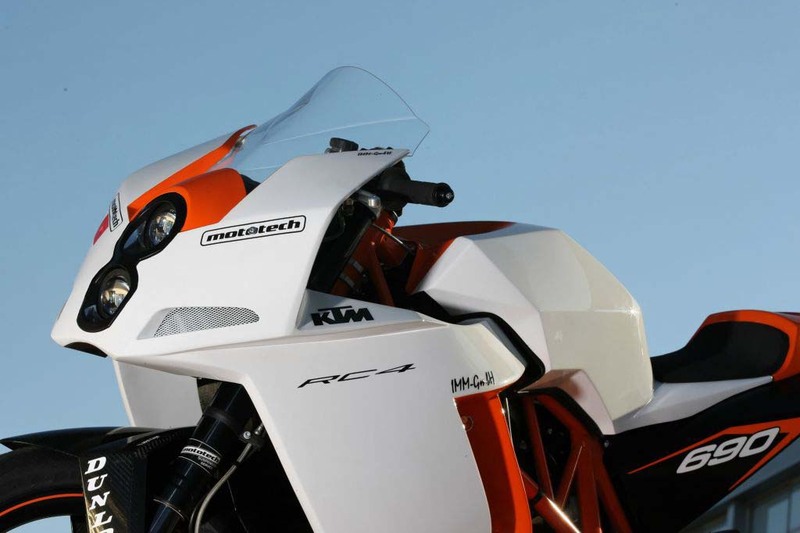 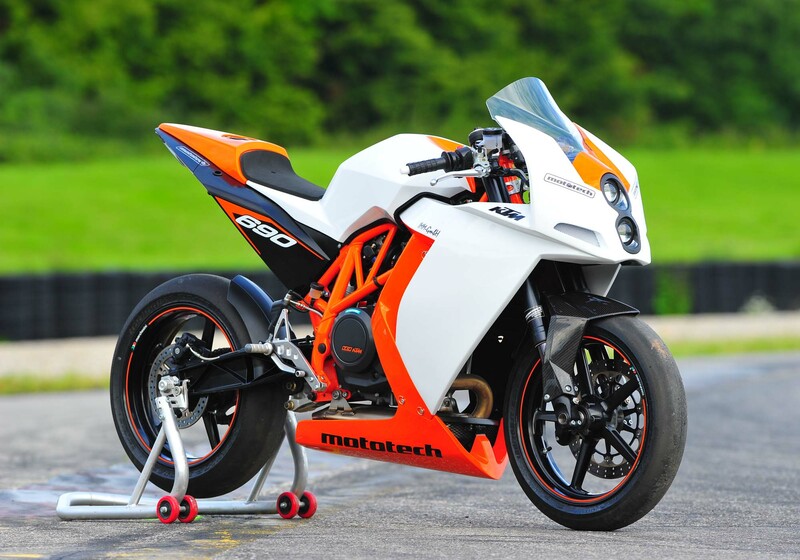 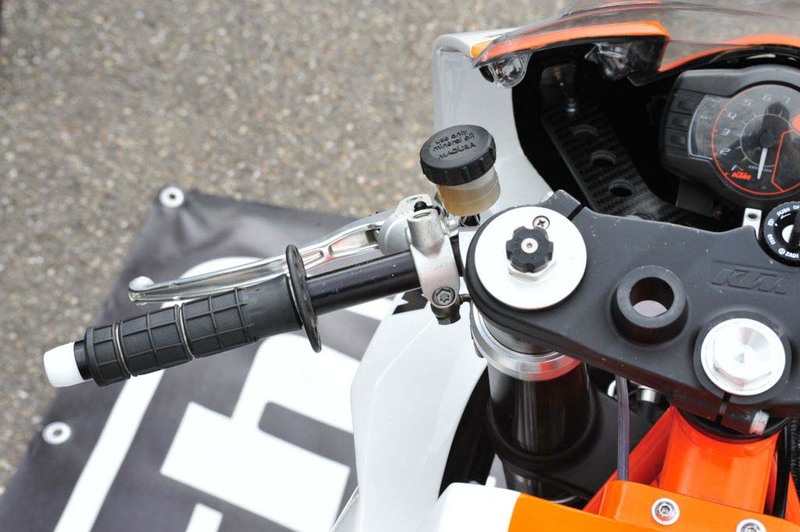 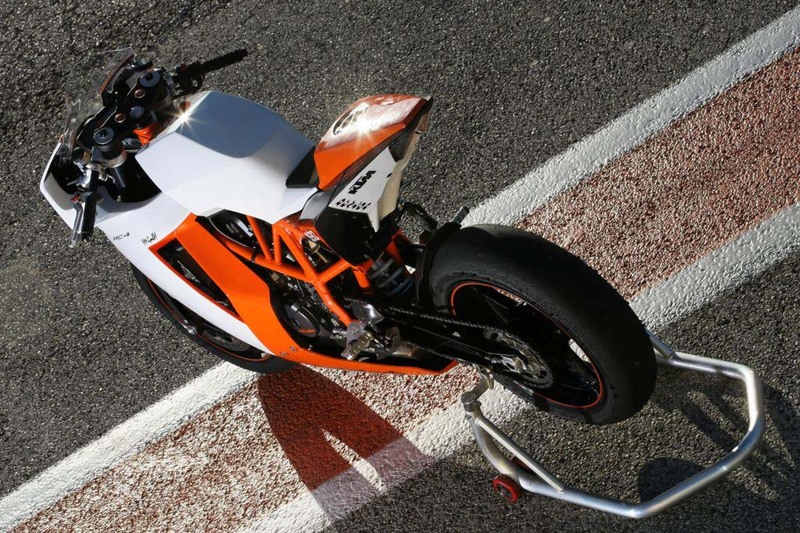 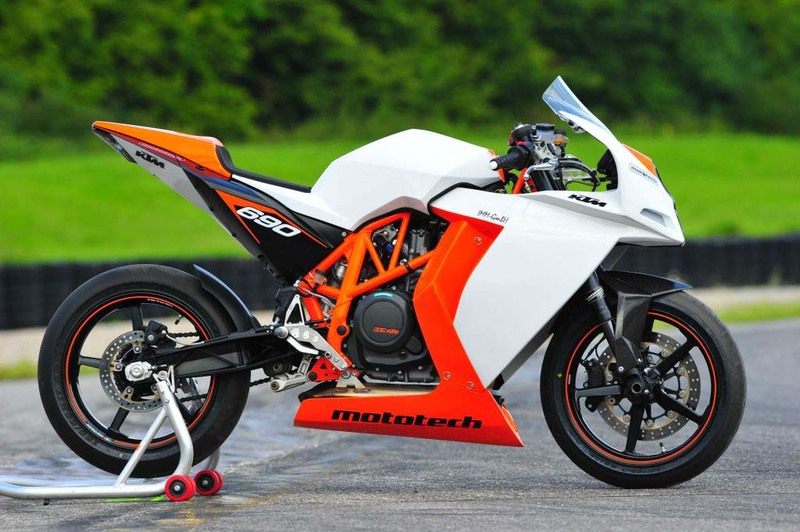 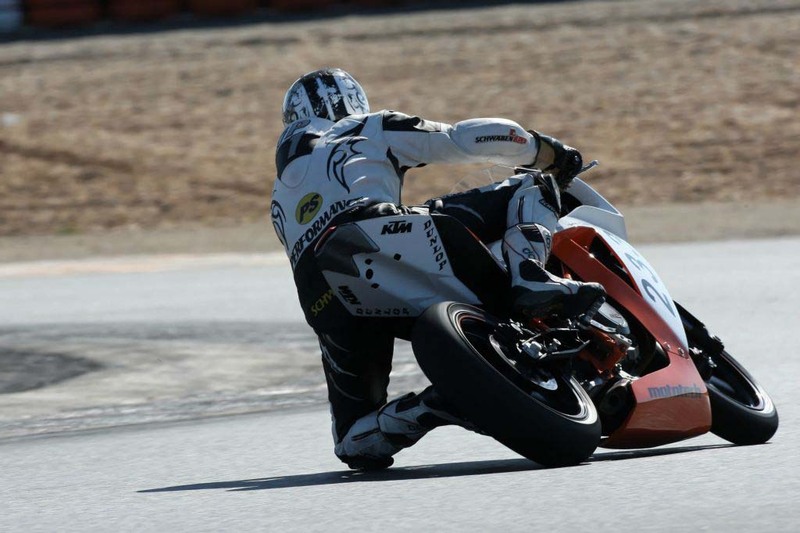 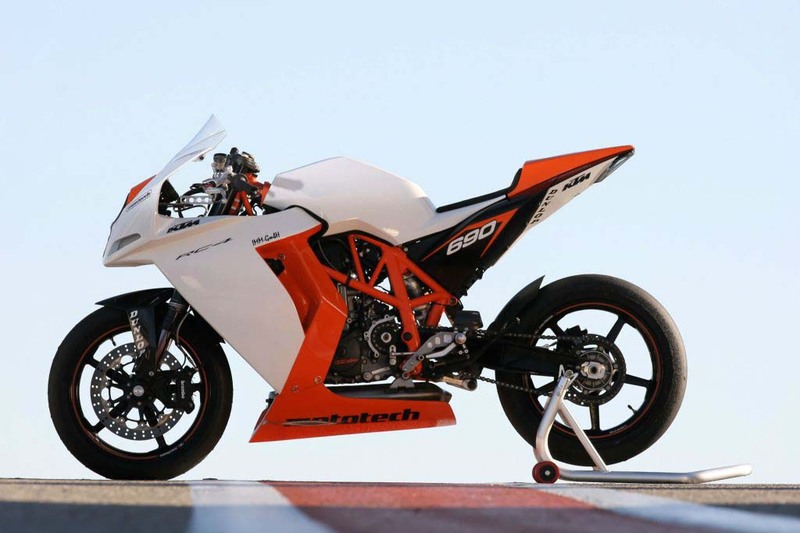 A single-cylinder track weapon, it eludes me why KTM hasn’t built an official version of this bike.